My final thoughts on “Teach Your Kids to Eat” concerns their involvement and knowledge of food. 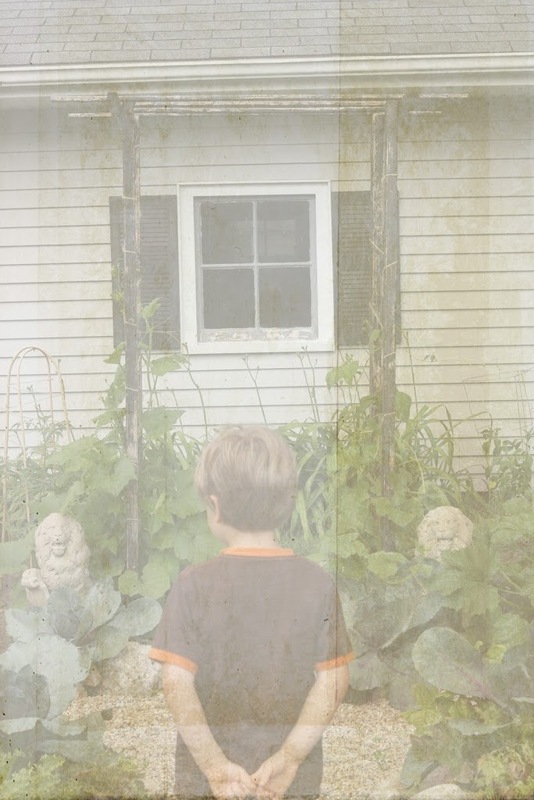 Now I am not suggesting that EVERYONE should grow their own veggies, have their own garden and be as “into” the entire process as we are in this house… though… I don’t think that would be a bad thing… but what I am suggesting is making food a part of life for your child. From the earliest possible moment grow some sort of food that he can be a part of be it on the patio or in the Potager. Create an excitement over a seed, watering it, tending to it, watching it grow, harvesting it and eating it for dinner. If, as an adult you have never grown or harvested your own food I promise it will give you a most profound sense of accomplishment. Aidan is my little farmer boy. He gets giddy at the thought of taking out the harvest basket and filling it and he will often create little outdoor meals for me while I am working in the garden… funny little salads with thyme, onions, strawberries and whatever else he can get his hands on. 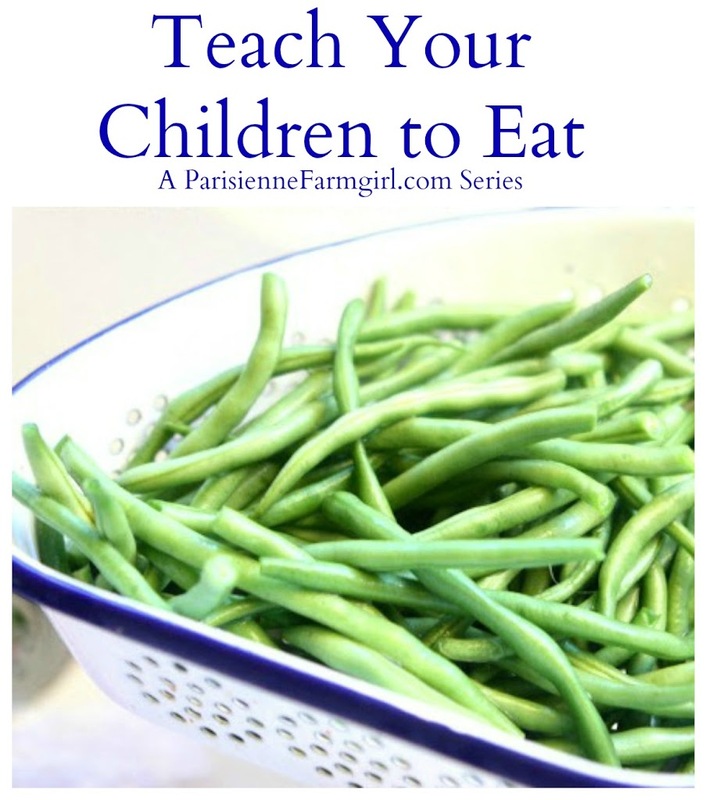 Teach your children about locally grown foods and their timeliness. How fun for a child to grow up knowing that June is meant for picking strawberries? For walking out into a field and eating them until their fingers and mouths are stained red? 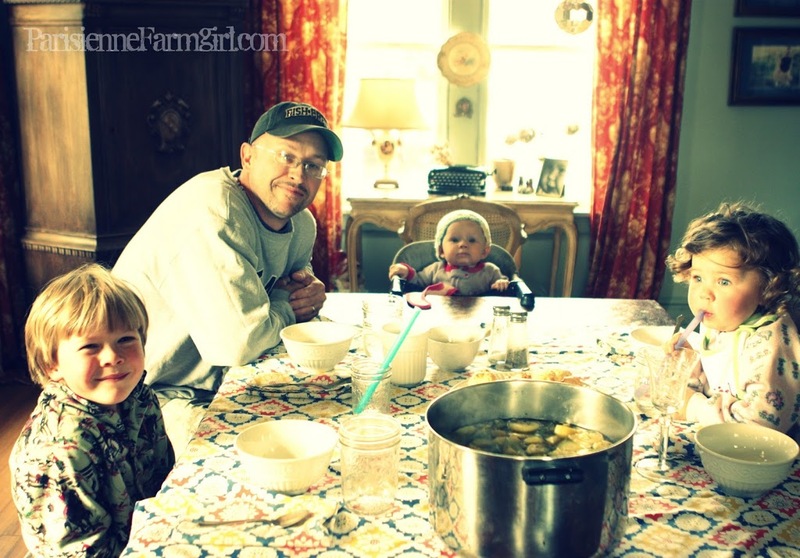 Teaching them about local foods in your area gives everyone in the family something to look forward to! Celebrations of color, taste and season! What memories can you create by actually walking into an orchard and letting them tug on a big, juicy apple waiting to be eaten? What conversations will you have as you pull the wagon behind you? As you make the applesauce and the pies? Offer produce, offer it often and keep it handy for hungry munchkins. 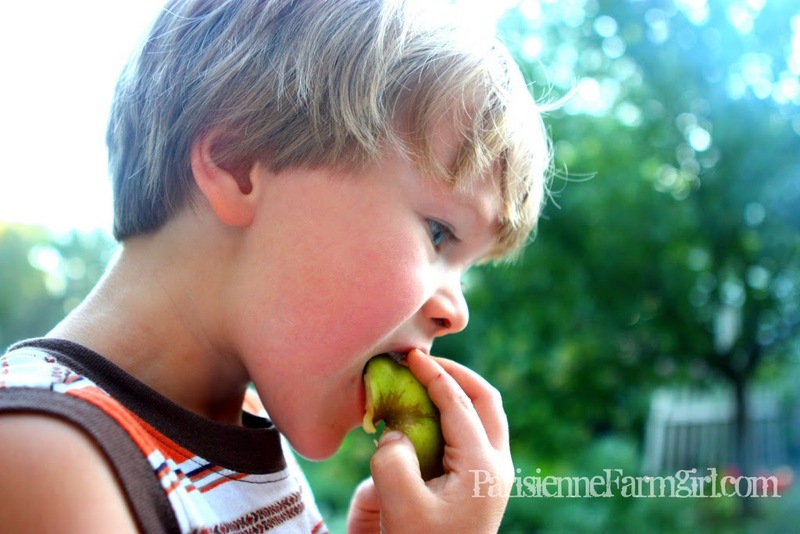 I hardly EVER say “no” to my kids wanting to eat produce. In fact, it’s the only snack they ask for. I announce at 3pm that broccoli or green beans will be served with dinner and they do a veritable happy dance! The “big” kids love to feed Hoolie! I hardly ever say “no” to my chickens wanting to “help” me in the kitchen. There is so much they can do that won’t hurt anything from kneading bread to pushing the button on the Cuisinart when we make our annual batch of pesto! (Made with the basil they proudly tended to all summer long). 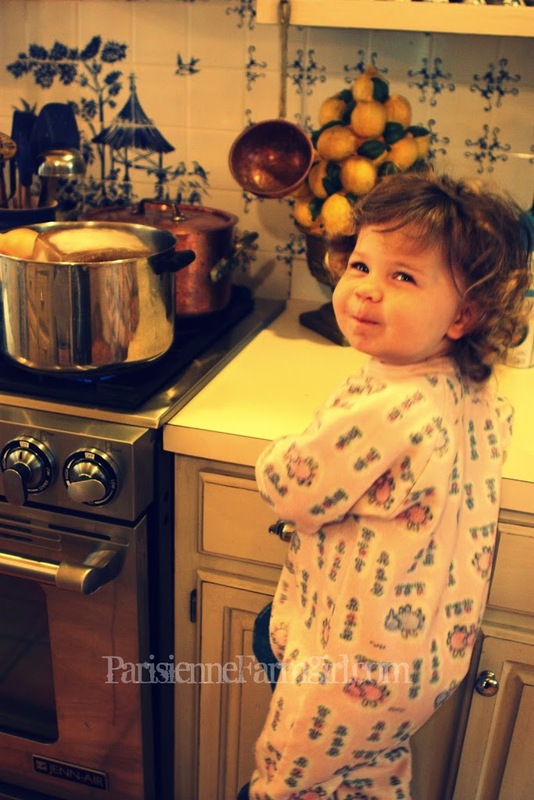 Starting your children in the kitchen with you at an early age lays the ground for pre-teens that know their way around kitchen, who can make a meal or snack for their friends, who can clean up the kitchen for you… it teaches them how hard Momma works… that food… good food doesn’t just make it’s self. There are so many other things you can teach your kids in the kitchen too as Aidan is forever asking me about gas, heat, fire, flash points… my little science guy. 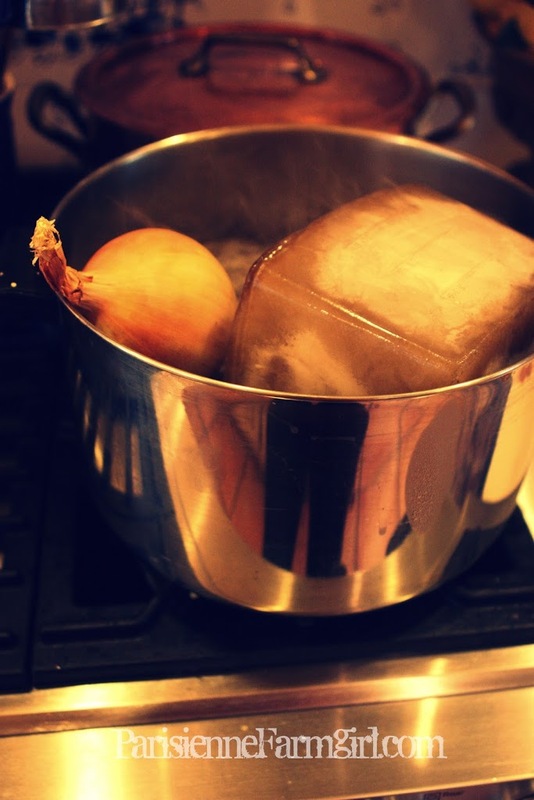 Amélie helped that last time I made chicken soup, with frozen stock from our last roast chicken, I had to leave them room but before I did I told her that “Next we will add the onion”… the next photo is what I came back to! So hilarious! My little helper! There are few joys as wonderful as food… I for one and obsessed with it! Why not create that fervor for your children… celebrate it from the earliest age possible… set the table… light a candle… let them choose the music… It doesn’t not have to look like a spread from a magazine… while I love to do that, it’s not a real life occurrence with three children under five. But you can create an appreciation for glassware (our kids don’t use plastic) cutlery, cloth napkins, etc… My kids LOVE to set the table and they are known to bring their own treasures into the dining room as they create their own centerpieces…. rocks, Nascars, pine cones, trains… always with some purpose and creative motive. Let them build up an appetite. By only snacking on produce my kids are ready to EAT come meal time. I also encourage this with water. Aside from beer and wine it’s the only beverage we drink in this house. I serve water at meal times. I don’t buy juice or pop. A sure way to ruin your child’s appetite is with juice and pop… a mon avis. All those calories and carbonation would make anyone full before their time. You will save TONS of money by not buying juice and pop too! Two words we like around here: Home Made. 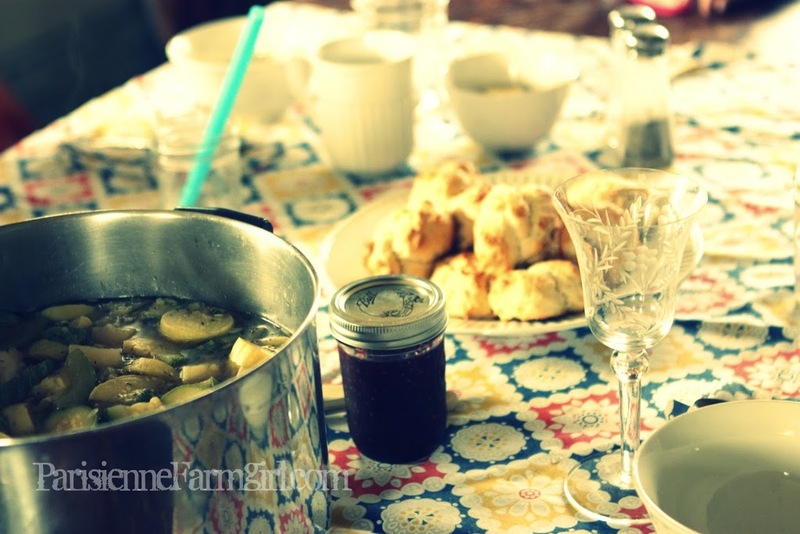 A recent lunch included homemade chicken soup with veggies from the garden, jam from berries we picked this summer and homemade biscuits with homegrown herbes-de-provence. We are so blessed in this country with so much food and the ability to grow it. If we give our children a sense of involvement and knowledge of the entire process we can raise a generation of healthy eaters who can sit a table and enjoy some of God’s greatest gifts… the person across from them and the food on their plate! No plastic glasses or plastic utensils. Everyone sat down for dinner as a family and my first cookbook was my cherished possession. The first thing it taught was how to make a sandwich. Really! I think this applies to adults as well as children. It’s beautifully written and I love how you make it a special thing from growing the food, to harvesting, to preparation, to serving and finally enjoying the food. I never heard the word “chore” in any of this, just pleasure and abundance mixed with simplicity. Brilliant! 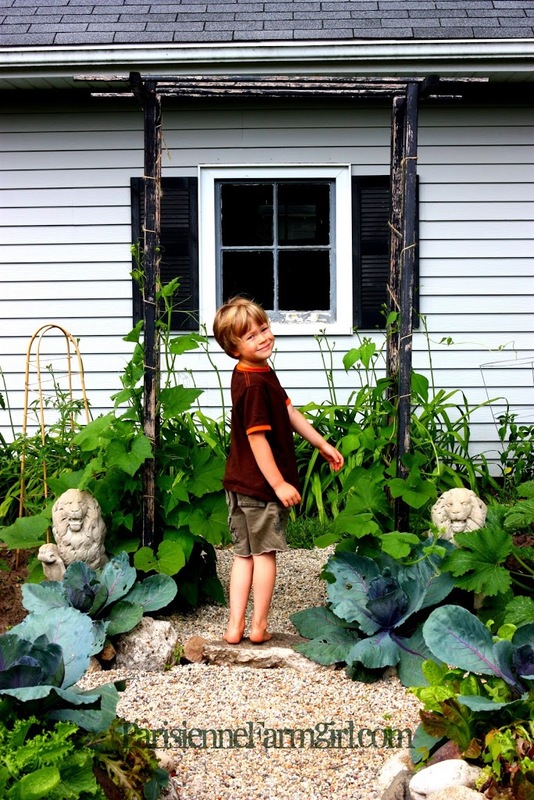 I completely agree – we started a veggie garden 2 years ago and my children LOVE eat what we grow. My oldest is my self-titled “chef’s assistant” and loves to help out. I’ve been sending these on to Giselle, as Trena is nearly 2 now, and has been eating real food for quite a while. She’s such a little peanut, they are trying to cram as much nourishment in her as possible! I’ve said it a few times at my blog but I can’t fathom why parents spend lots of money on plastic play kitchens with plastic food! 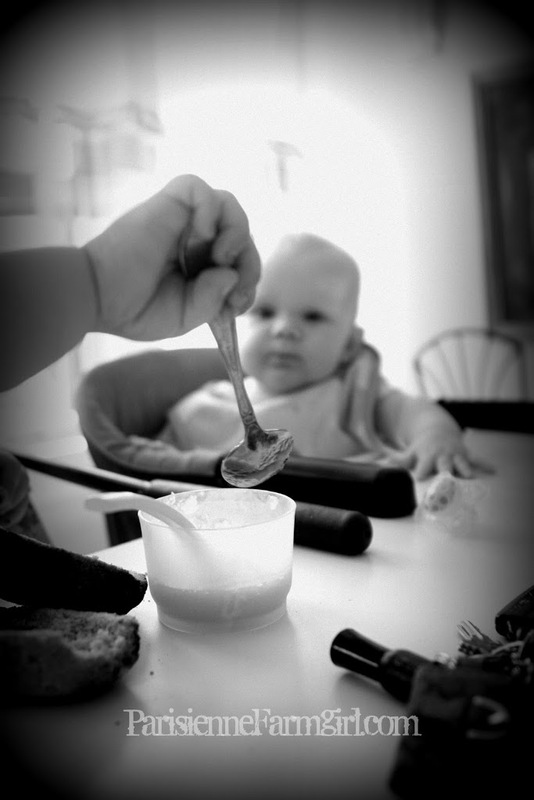 Pretend cooking with pretend food… why bother when you can introduce children to the real thing? I think it is because people don’t like cleaning up the mess – so what if there’s a bit of extra flour on the bench! I’d much rather clean up a few extra spills than trip over the plastic stove cluttering up the house! My children have been playing/working with me in the kitchen from the moment they could grip a spoon and make a stirring action. Though often the berries I wanted to make jam with disappear off the bush before I can use them, same thing goes for the tomatoes I’m wanting to turn into sun-dried ones. But that’s fine – fresh is always better and my children realize this! I love your post, and wish such thoughts had occurred to me when I was raising my littles, it might be too late for my kids, but I can pass this on to Jamie! She already makes all of Levi’s food from scratch and has a nice garden on their four acres. The picture at the end of the post with your family at the table is timeless, it could be a family in the 1850’s, the 1920’s, WWII, or now! HOW PRECIOUS. I think it’s frameworthy in its simplicity! I too feel strongly about everything you posted!!! My babies are in the garden and then in the kitchen with me, it is never a chore. B looks so forward to going out to the garden in the summer to see what he can pick for the day… I think it is so important to sit at the table for ALL MEALS, even a snack. And we use real dishes and utensils every time too! No plastic here! I t also amazes me how many people have the tv on during meals~UGH! You know how we feel about that!!! 🙂 I think that is a distraction for little ones too when learning to eat!! Oh so much more I could say!!! Great Post! One of my biggest “poor me” thoughts is that, since we only have an apartment, I can’t garden. Even the house in K’zoo gave me that nice (albeit small) garden ready to hand. I will try out the comm. garden in the spring, though. 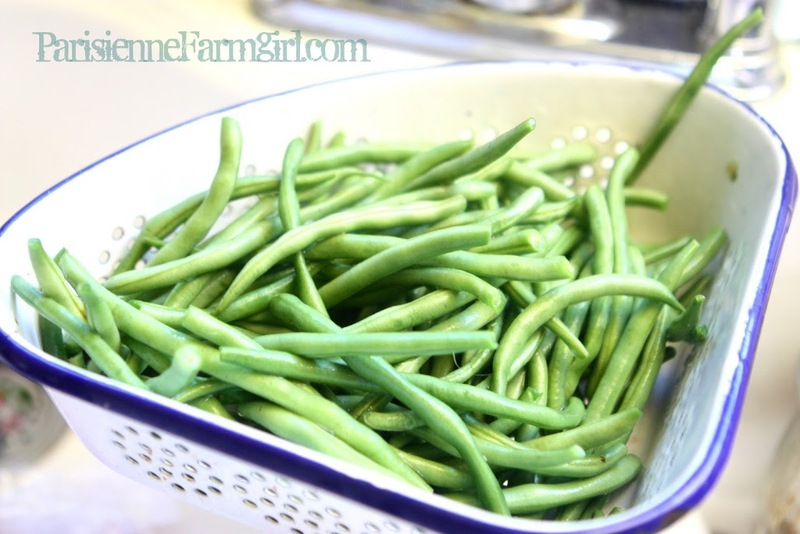 I’d love to grow more to eat – I HATE buying produce that I know I could be growing myself.